Asthma can strike at any time in your life. You may notice symptoms of asthma in your child at a young age, in puberty, or as an adult. It is important to know the early symptoms of asthma. The sooner the condition is diagnosed, the easier treatment and management will be. Asthma can also be made worse during allergy season, and this is often when it first shows itself. 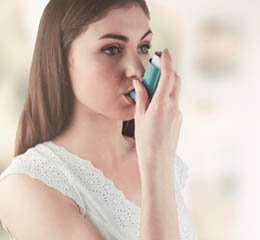 There are several early symptoms of asthma that you may not be aware of. Some symptoms can seem like regular allergy problems or a bad cold. The best time thing to do if you have any of these symptoms persistently, is to see a doctor for proper diagnosis.